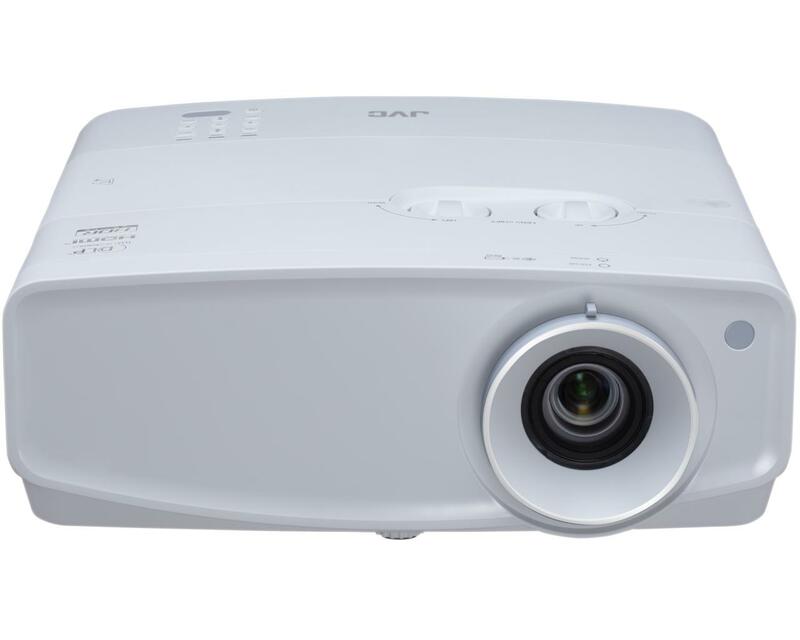 JVC LX-UH1 is a 4K Ultra High Definition (UHD) projector that uses the newly developed TRP DMD technology to deliver 4K images, and offers HDR support, 2,000 lumens, wide vertical and horizontal lens shift. 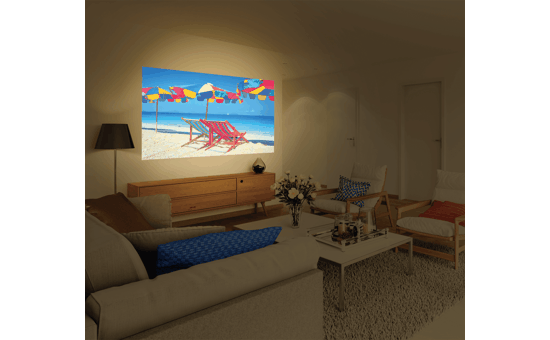 This small projector produces big 4K images despite its compact dimensions: just 33 cm by 33 cm, and less than 13.5 cm high. The space-saving LX-UH1 can thus be installed wherever is most convenient, hanging from the ceiling or placed on a shelf. 4K resolution (3840 x 2160 pixels) is four times full HD resolution. As 4K content rapidly becomes mainstream for broadcasting, streaming and optical discs, you can be sure that the LX-UH1 will make the most of it, providing a bright, vibrant picture with all the detail. Impressive colour reproduction almost makes you feel immersed in the scenes unfolding on the screen. High Dynamic Range (HDR) is a technology to accurately reproduce realistic, dynamic images in which finer gradations and colors are clearly visible, even in the lightest and darkest areas of the picture. The LX-UH1 supports both HDR10 for UHD BD content and Hybrid Log Gamma (HLG) for broadcast signals. 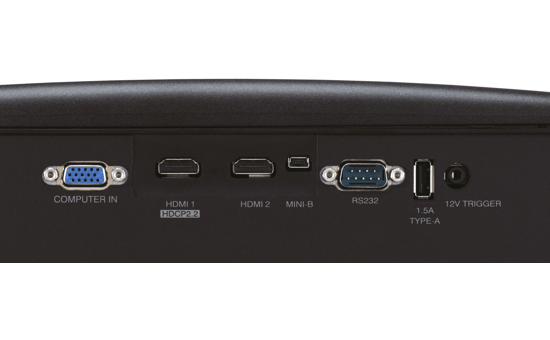 The LX-UH1 is compatible with full-spec 4K input at 18Gbps throughput – supporting 4K/60p 4:4:4/36bit, 4K/60p 4:2:2/36bit, and 4K/24p 4:4:4/36bit signals – for more vivid colours and subtle gradations. 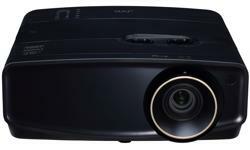 What’s more, HDCP2.2 compatibility means that this projector supports the latest video-streaming services and copyright-protected content such as UHD Blu-ray discs. 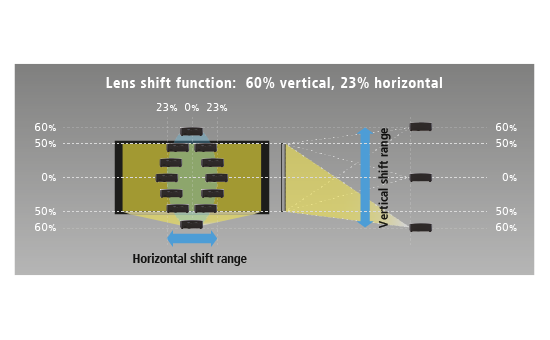 A compact design facilitates projector installation – but if lens shift is insufficient it may require keystone adjustment, which can degrade picture quality. There are no such worries with the LX-UH1, however, as it features a wide lens shift: ±60% vertically and ±23% horizontally. 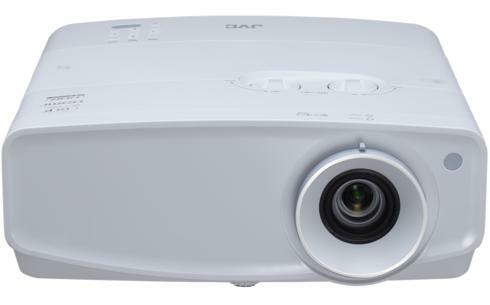 Viewing movies, broadcast and other content in a room that’s well lit can be difficult with a conventional projector. But despite its compact size, the LX-UH1 offers brightness of 2,000 lumens thanks to a highly efficient lamp system. And 100% coverage of the Rec. 709 gamut means you enjoy beautiful colour rendition.